The main competitor of Bitcoin was under pressure on Monday, May 1st 2018, as there were rumors the digital coin had come under scrutiny by the main United States regulators: the SEC and CFTC. There currently a debate on how the cryptocurrencies should be treated. Meanwhile, as reported by CNBC, some sources had said that the Ethereum ICO had been “probably an illegal securities sale”, putting pressure on the price which had dropped by 6% yesterday. We are now almost 20 hours after the news flooded the market and the price had managed to erase two-thirds of the losses. Still, some tough questions remain. There’s a huge debate in the United States on how cryptocurrencies should be treated. The Commodities and Futures Trading Commission mentioned it considers them as commodities, which will mean the SEC will no longer need to regulate them. On the other hand, the SEC considers cryptocurrencies as securities and there was an example related to Ethereum coming from a journalist. The Ether token is the digital currency of the Ethereum platform and it had been launched in 2014. It was a big event at that time since the newly created startup managed to sell 60 million coins and got 31,000 Bitcoin in exchange. Presumably, the investors are considered to have bought the coin in expectation of a rise in value, which is usually done with securities. Those who invested in Ethereum at that time made a good decision since the coin now trades around 677 US dollar per piece. Despite this debate on how cryptocurrencies should be regulated, Ethereum remains a platform with high potential. The huge number of ICOs that chose it in the last few years can prove that point without a doubt. Still, despite this valuable impact it could have on the economy, cryptocurrencies should be regulated as any other financial instrument. It is not fair for this operations to go on forever without any supervision. We’ve seen a lot of scams in the last few years and this could be one of the positive impacts regulation can have. 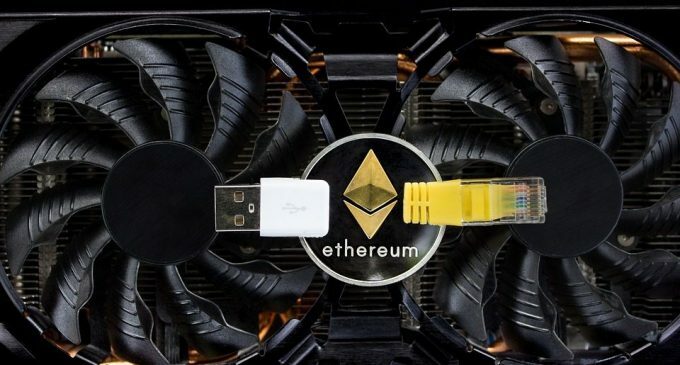 Despite this Ethereum investigation, since the price had managed to rebound and erased a good chunk of the losses, that means the pressure of regulation had diminished substantially since the start of 2018. If central governments will manage to understand that a healthy regulation is required, the digital currency sector will continue to expand in the time ahead.